Most people sense that they aren’t living from their highest potential. For most, this “knowing” is subconscious. That is, a part of us knows, but consciously, we don’t connect with this reality. We know the difference between when we’re operating from our higher potential and when we’re not. But why do we often fail to operate from our innate power in the first place? One reason is that our brains rarely function the way they’re designed to run. The pineal gland—and many other vital glands and organs—aren’t functioning within their intended design. Thankfully, we have the power to change that. Today’s guide is the final segment in a 4-part series on the pineal gland. If you haven’t read these guides yet, I recommend you do so as each guide builds on the next. Why is Pineal Gland Activation Important? Why Is the Pineal Gland Called the Third Eye? Why invest so much time discussing a tiny gland the size of a grain of rice? This blog is about actualizing our higher potential. When the pineal isn’t functioning properly, we can’t access our potential. It’s that simple. Even more disconcerting, when the pineal isn’t functioning correctly, we often don’t even know there’s a problem. Admittedly, these are qualities anyone can associate with our higher potential. These qualities are also essential for our spiritual and psychological development. Pineal gland activation brings a more significant connection to the natural world and a willingness to let go of ego pursuits that shut out our soul. Lucid dreaming, astral projection, and an enhanced imagination are topics related to pineal gland activation. The pineal may be a gateway to higher creativity. Although modern science and medicine have just begun to understand the critical role of the pineal gland, ancient cultures and traditions already have this knowledge. For Buddhists, the pineal is a symbol of spiritual awakening. In Hinduism, the pineal is the seat of intuition and clairvoyance. For Taoists, the pineal is the mind’s eye or heavenly eye. For at least over several thousand years in both the East and West, the pineal gland has been viewed as a connecting link between the physical (3D) world and a psychic dimension beyond it. The top portion of “Seat of the rational soul.” A sketch by Rene Descartes. Cultures as far back as ancient Egypt referred to the pineal as the inner eye or the third eye. Why? When you cut the pineal open, pinealocytes line the interior. These pinealocytes resemble the rods and cones in the retina of our eyes. The pineal even has retinal tissue and the same physical wiring to the brain’s visual cortex. Indeed, the pineal gland does appear to be the third eye. How ancient cultures knew this is unclear. 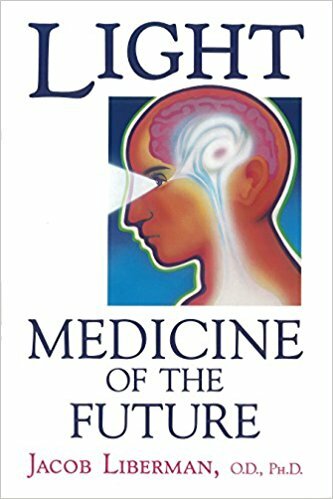 In Light: Medicine of the Future, Jacob Liberman explains that light stimulates the pineal in creatures like birds, lizards, and fish directly through the skull. In mammals, however, light stimulates the pineal exclusively via the eyes. Liberman believes humans initially received light stimulation through the top of the head (crown), as is described in many mystical and ancient traditions. The pineal, then, represents the inward seeing eye. Meaning that activating this third eye helps us see life beyond the typical limitations of our perception, bringing clarity of vision. So now, if you’re willing, together we’ll explore some interesting territory. Each tradition has different methods for activating the third eye. It may be that different methods are appropriate for different individuals based on type, temperament, or some other factors. Through a review of each of these methods, a curious pattern emerges. We’ll discuss the importance of this pattern in a concluding section. First, a word of caution is appropriate here. While everyone should decalcify and detox their pineal, pineal gland activation shouldn’t be taken lightly (as it is in many New Age circles). Researcher David Wilcock explains that if the pineal gland gets “stuck on” it can cause schizophrenia, delusions, and waking hallucinations. Some traditions, like the Northern Reality School of Taoism, also caution against esoteric methods of altering your consciousness. So it’s advisable to exercise care and attention on this journey. It is possible that the third eye is designed to open naturally when the conditions are appropriate for an individual. In modern times, however, these conditions rarely arise spontaneously. Ancient cultures had shamans and wise elders who guided such processes for the younger generations. Today, however, each of us is responsible for our inner journeys to awakening and higher development. Perhaps the most traditional method of opening your third eye is through formal sitting meditation. But for our purposes here, through various meditative techniques, you can stimulate and activate your pineal gland. How? The pineal gland is sensitive to the bioelectrical signals of light and dark in its environment. Meditation can activate this bioelectric energy. And, with practice, you can direct this energy to the pineal gland, stimulating it and helping it open. For your meditation to be effective, your mind must become still so the scattered energy in your body can consolidate. We can’t, however, quiet our minds through force. Instead, we observe or watch our mind and allow it to become still without effort. Sit in a comfortable, relaxed posture. Close your eyes or lower your eyelids. That’s it. You can also imagine that you’re breathing a golden white light through the center of your third eye. The key is to remain relaxed and avoid trying to force the exercise. Let go of wanting or expecting any result as this will create tension that will block the flow of energy in this process. By placing your attention on the pineal gland, you’re focusing your internal energy in this region. This relaxed focus releases neuropeptides and nitric oxide, which trigger the relaxation response. These chemicals will allow you to move into deeper meditation while stimulating the third eye region. Recall that melatonin is the main chemical produced and circulated by the pineal gland. Not surprisingly, in the brains of meditators, they find an increase in melatonin secretion. Using functional MRI scans of individuals in a particular form of sitting meditation, researchers at Taiwan University found that meditation does trigger pineal gland activation. You’ll know your third eye meditation is working when you begin to feel either a slight pressure in this region or a pulsating sensation. It can feel as though there’s a mini heart beating in your forehead—an unusual sensation initially. This next method, if you’re unfamiliar with it, will seem odd and perhaps dangerous. We’ve all been told not that staring directly at the sun will damage our eyes. One thing I will say with fair certainty: for those of us committed to actualizing our higher potential, we must be willing to challenge everything we think we know. Repeatedly, I continue to learn that most of what I’ve been “taught” is either completely wrong or just severely limited. And sungazing is a perfect example. Sun gazing is a powerful, ancient technique with tremendous benefits. The theory behind sun gazing is that you’re absorbing the energy of the sun directly through your eyes and skin. Hira Ratan Manek (known as HRM) is the person who brought this method to the mainstream. Through sun gazing, HRM and many others have been able to go long periods (years!) without eating and remain physically healthy. A team of physicians from the University of Pennsylvania examined HRM 24/7 for 130 days. They confirmed his claims that he survives mostly on sunlight with a minimal amount of water. Neuroscientist Andrew Newberg and pineal gland authority George Bernard studied HRM’s brain during this 130-day period. They found that the gray cells in HRM’s brain are regenerating. Is this so surprising? Recall the profound impact light has on the pineal from our last guide on the pineal gland and sleep. The research cited in that guide supports the idea that sunlight reduces the harmful effects of artificial blue light. Here, we’re learning that the sun’s support goes further: the sun can help us restore the original size and function of this all-important gland. Note: More recently, HRM started eating. Apparently, the documentary “Eat the Sun” exposes him as a fraud, but this is more likely a consequence of an archetype possessing him. Like many so-called “gurus,” he became inflated, and now he can’t regulate his behavior. Sungazing, like all such techniques, should be used responsibly and with great care. While stopping eating isn’t the goal of pineal gland activation, many who sun gaze report that it reduces hunger. In my personal experience with sun gazing, I can confirm these reports as well. Eating becomes a choice, but there’s no longer hunger or a physical need to eat. HGH is a metabolic protein that protects lean muscle and metabolic balance. HGH increased an average of 1,300 percent in women and 2,000 percent in men during a 24-hour fasting period. As I reported in this article, most foods block the flow of energy or chi in the body. The less you eat, the more energy you can experience. Finally, fasting also supports detoxification, which might be the most significant benefit to your pineal gland. Why are we told that it’s dangerous to look at the sun? Ultraviolet (UV) radiation can damage the retina. But did you know that the UV index is usually zero during sunrise and sunset? When sun gazing, it’s important to only look at the sun within the first hour in the morning and the last hour in the evening when the sun still has an orange glow. You don’t sun gaze during the day when the UV index is high. Sun gazing is reportedly safe whenever the UV index is less than 2. Your local weather source quotes the current UV index. Using HRM’s method, you start within the first 15 minutes of sunlight in the morning and the last 15 minutes at the end of the day. You only gaze into the sun for a couple of seconds at first, building up to 45 minutes per day for nine months. You can read the specifics of HRM’s method here. But even if you’re not interested in following this particular protocol, occasional sungazing in the early morning or late evening will support your efforts to activate your pineal gland. Finally, ditch your sunglasses. Direct and indirect sunlight stimulates the pineal, prompting it to produce serotonin. This neurotransmitter will elevate your mood and your level of energy. Direct sunlight will also make you more resilient to blue light. 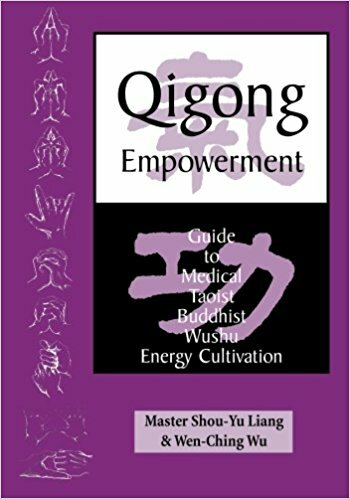 I briefly discussed qigong in my guide on the internal martial art practice called Zhan Zhang. Qigong exercises are designed to increase the practitioner’s sensitivity to the flow of energy within the body, called chi (or qi). Then, one learns how to move this energy with gentle physical motions and breathing. Finally, the practitioner learns how to move this chi with one’s mind, or intent. Most of us have many blocked energy meridians and centers that keep the body’s chi from reaching vital glands in the endocrine system. Circulating the body’s energy using qigong helps open these pathways, allowing this energy to reach these areas and activate the pineal gland. In truth, the meditation practice described above is a form of qigong as you’re focusing your intention on the pineal gland to increase the energy flow in this region. If you first develop sensitivity to your body’s energy through qigong before doing a meditative practice like this, it will be far more effective. If you practice Zhan Zhang daily and your body opens up, you’ll experience an increased flow of energy throughout your body and brain. Many forms of qigong training can influence pineal gland activation. “When the sun starts to rise over the horizon, extend one of your arms toward the sun, and point your index finger at the sun. In Taoism, the Heavenly Eye is another term for the third eye. Our brains operate on a range of brainwave patterns. Each pattern establishes a particular state of consciousness. If you do a Google search on “third eye activation” you’ll get lots of results for “brainwave entrainment” audio programs and sound clips on Youtube. 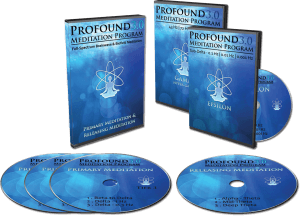 These programs are usually a combination of binaural beats and isochronic tones. When you simultaneously hear one pure-tone sine wave in the left ear and another sine wave in the right ear, it creates an auditory illusion called a binaural beat. An isochronic tone is merely a pure tone that’s turned on and off rapidly. Sound engineers calibrate these tones to specific frequencies. The goal of these programs is to induce a particular state of consciousness by entraining the brain to the frequencies of the sounds. Although there’s a lack of controlled research studies, preliminary research suggests brainwave entrainment does facilitate a change in brainwave patterns and has a therapeutic effect. The effects of these changes, however, are likely only temporary. In my personal experience, I’ve found that the best benefits from brainwave entrainment come when used in conjunction with meditation. The question for us here is: Which brain wave patterns support pineal gland activation? While there’s no clear answer, research does point us in several directions. This study of two individuals during an ayahuasca (DMT) experience found that they produced an increase in “global EEG coherence in the 36-44 Hz and 50-64 Hz frequency bands for both subjects.” These frequency bands are known as gamma waves. Then, we need to consider what brainwave frequencies are consistent with the production of the pineal gland’s main chemical: melatonin. 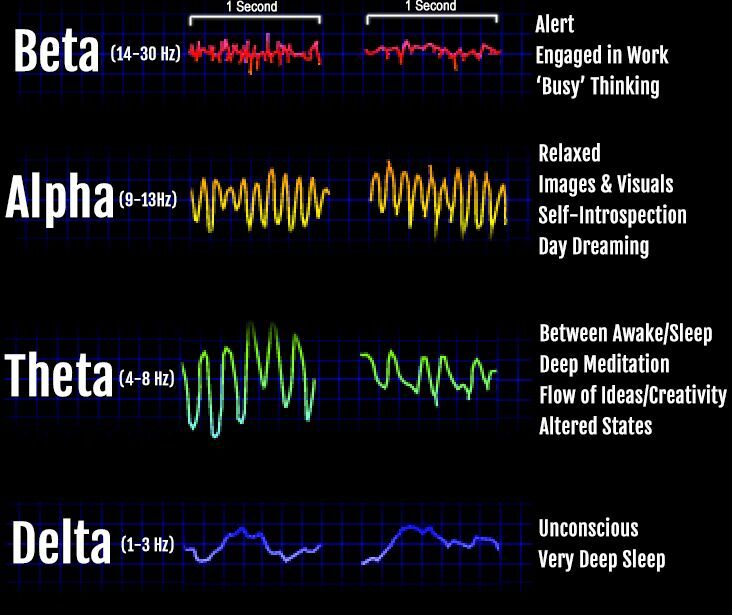 The answer is delta waves—the brain waves we experience during deep, dreamless sleep. Finally, what frequency is active during the REM stage of sleep? Theta waves. And theta and gamma waves work together during REM sleep. Put the above together, and to use brainwave entrainment for pineal gland activation, use binaural beats and isochronic tones that activate delta, theta, and gamma frequencies. I’ve experimented with most of the popular brainwave entrainment programs on the market. You can download a free sample track from this program here. In my previous guide, How to Decalcify Your Pineal Gland, we learned that the pineal synthesizes and secretes a hormone called melatonin. But the pineal is also responsible for another chemical we didn’t discuss. 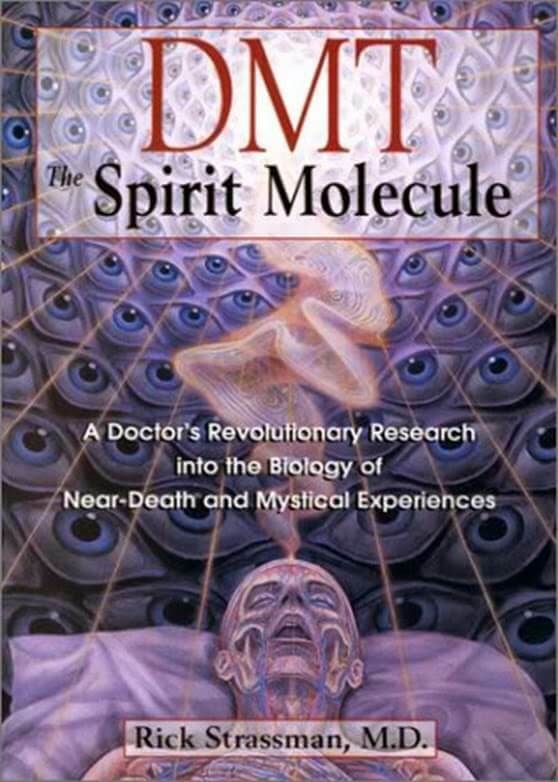 In his revolutionary book, DMT: The Spirit Molecule (audio), psychiatrist and researcher Rick Strassman theorized that the pineal gland produces another important chemical called N,N-dimethyltryptamine or DMT. Dubbed the “Spirit Molecule,” DMT is a natural hallucinogen capable of producing extraordinary visions and mystical states of consciousness. 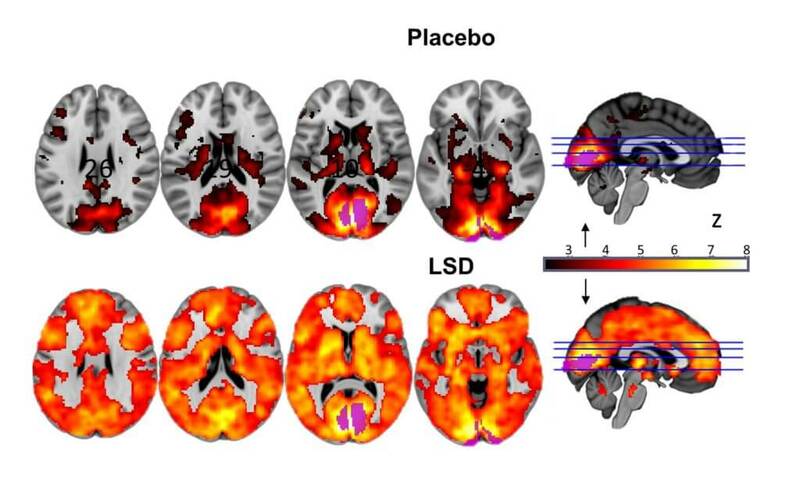 DMT is similar to the properties of lysergic acid diethylamide (known as LSD or acid) but is naturally occurring in our bodies whereas LSD is a synthetic drug. In the 1970s, Japanese scientists discovered that the brain transports DMT across the blood-brain barrier into its tissues. Researcher Graham Hancock theorizes that DMT is the lens of the pineal gland that allows us to see wider areas of our reality that are usually inaccessible to us. DMT is present in the Amazonian botanical tea called ayahuasca. Ayahuasca is a sacred tea made from the vine of the Ayahuasca plant combined with the leaves of either chacruna or chagropanga bush. A minimal amount of DMT is reportedly produced by the pineal gland every night while we dream. But when you take Ayahuasca, you’re getting a massive DMT boost that may be able to break up any existing calcification in your pineal. This “herbal medicine” is taken as part of a South American shamanic ritual that leads participants through profound experiences—both “positive” and “negative”—as content from their unconscious comes into conscious awareness. However, taking these psychedelic substances in isolation—meaning without other transformational practices listed above—will likely only have a temporary effect on your pineal. Ultimately, all of the pineal gland activation methods discussed above work to bring the entire brain online—not just the pineal. 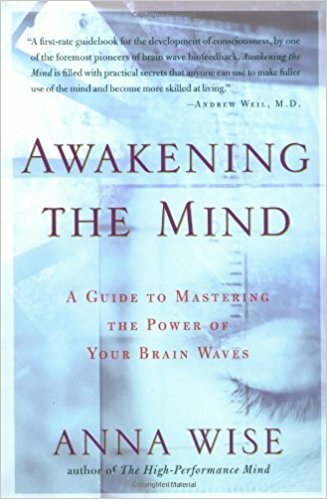 In Awakening the Mind: A Guide to Mastering the Power of Your Brain Waves, researcher Anna Wise explains that in peak experiences and high-performing individuals, not one but all of the brainwave frequencies are active. This brain scan image represents the goal of these methods: to activate the whole brain, including the pineal gland. In this video, a neuroscientist records an individual’s EEG while he’s sun gazing. The scientist notes how all of the various brainwave frequencies become active throughout the brain. Okay, so what I’m going to share with you now may sound like science fiction. A few years ago, Eric started Subtle Energy Sciences. Using quantum resonance technology, Eric engineered a method of encoding digital images with specific energy signatures. The result is what he calls Digital Mandalas, which combine beautiful digital art with layers of various energy-related technology. 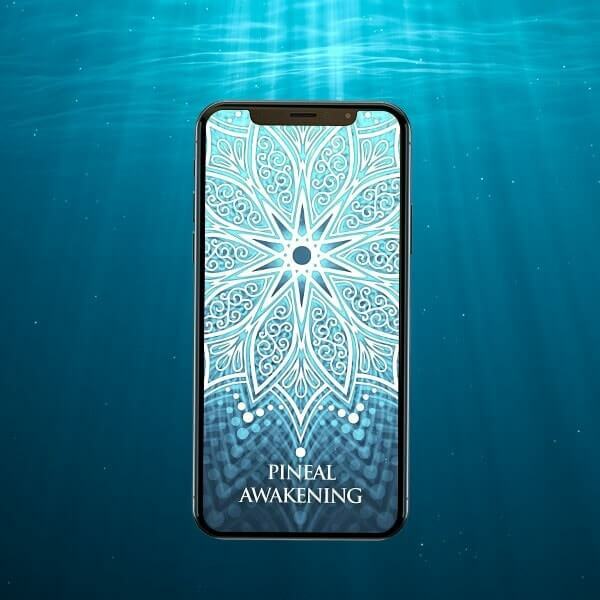 If you’re open to exploring new technologies as an aid to supporting your self-development, check Eric’s latest release called Pineal Awakening—a digital mandala specifically designed to help awaken the pineal gland. I recently purchased Pineal Awakening (among many other of Eric’s creations). While I can’t claim to understand how these digital mandalas work, I do feel the effects. Merely having the mandala open on my computer causes various sensations in the third eye region. Now, if you don’t have energetic sensitivity, you may feel nothing. If that’s the case, Eric offers various ways to augment and optimize the effects. Eric has agreed to offer my readers a $30 discount on Pineal Awakening. So if you’re interested in giving it a try, use code CEOSAGE30. So again, when we speak of pineal gland activation, we’re talking about bringing the whole brain online, integrating all the various brain regions. While psychedelics appear to accomplish this goal temporarily, methods like meditation, sun gazing, and qigong give us the ability to change the physical structure of our consciousness over time. As your pineal gland activates and the brain becomes more integrated, you begin to perceive your reality differently. You’ll begin to notice more of your unconscious behavior, which helps you get to know your shadow. You may wake up to many new realities about your life, the universe, and existence itself that were unavailable to you before. Perhaps this process has already begun for you. If not, the door to this new adventure is now before you.